The markets opened on a strong note today on the back of positive global cues. 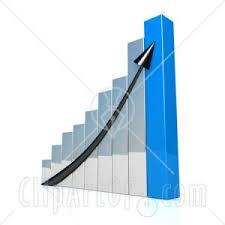 The BSE Sensex hit the 2009 highs at 15,699 in the early trade and the NSE Nifty surpassed the 4650 mark. All the sectorial indices are trading in green in the opening trade with the Consumer Durables, Metal, Oil & Gas and Auto stocks are fronting the rally. The broader market indices are also witnessing significant buying interest in the early trade as the BSE Mid Cap is now trading with a gain of more than 1.5% and the BSE Small Cap indices with a gain of more than 2%. The BSE Sensex is trading up by 303.66 points or (1.97%) at 15,691.62 and the NSE Nifty is trading higher by 85.35 points or (1.86%) at 4,656.80. The BSE Mid Cap increased by 110.56 points or (2.01%) to 5,616.96 and the BSE Small Cap grew by 104.95 points or (1.69%) to 6,308.96. The Overall market breadth is positive as 1468 stocks are advancing while 392 stocks are declining and the 40 stocks remained unchanged on BSE.